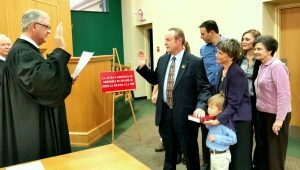 (Courtesy of Tom Pace) Bossier City Judge Tommy Wilson, surrounded by his family, was sworn in Friday, Dec. 19. A trio of swearing-in ceremonies highlighted the justice system this past week, starting with the Oath of Office for Scott Crichton, the newly elected Associate Justice of the Louisiana Supreme Court. New Bossier City Marshal Jim Whitman is sworn in by city Judge Tommy Wilson. “So help me God,” was repeated three times in just five days. In a most historic moment, Monday, December 15, 3 p.m. in Courtroom G of the Caddo Parish Courthouse, the State Supreme Court of Louisiana convened for just the third time in some 200 years. While standing-room-only guests watched, Chief Justice Bernette Johnson administered the oath of office to Judge Scott Crichton, now elevating him to the title Associate Justice of the Supreme Court of Louisiana, for the next 10 years. 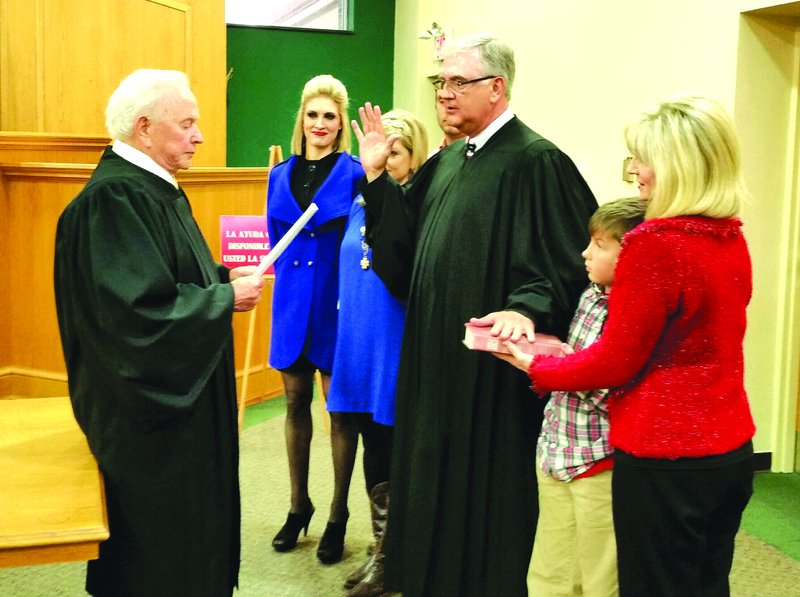 Meanwhile, across the Red River in Bossier City, on Friday, December 19, City Court Judge Billy Ross Robinson again administered the oath of office to re-elected City Judge Tommy Wilson. Immediately following Wilson’s ceremony, in that same standing-room-only crowd in the Bossier City courtroom, newly elected Bossier City Marshal Jim Whitman was sworn-in by Judge Wilson. 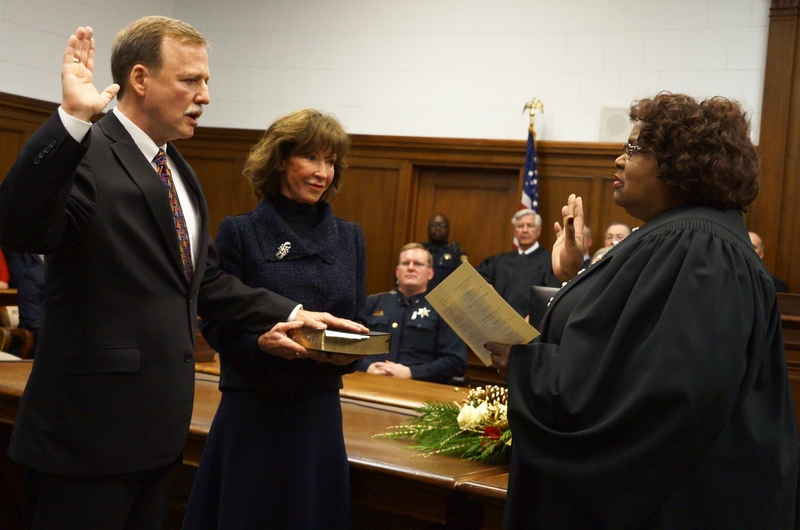 Scott Crichton was recently sworn in as Louisiana State Supreme Court justice by Chief Justice Bernette Johnson.